Just one ticket can lead to a 22 percent increase in car insurance costs. Just how much does a ticket increase your car insurance premium? According to a recent report from Insurance.com – which analyzed nearly 500,000 policy quotes – just one ticket can lead to a 22 percent increase in car insurance costs. Reckless driving, for instance, was found to be the citation that led to the greatest insurance premium increase, while driving under the influence accounted for a 19 percent average increase, driving without a license an 18 percent average increase and careless driving a 16 percent average increase. It’s worth noting that the aforementioned percentage increases are estimates – penalties certainly vary based on a variety of factors, such as driver age, status of driving record and more. Perhaps surprisingly, the Insurance.com report discovered that divorced drivers are penalized more in terms of premium increases than single or married drivers when it comes to any given offense. In fact, divorced drivers cited for reckless driving, for example, might find their premiums to increase by 7 percent more than a non-divorced driver cited for the same offense. On a related note, those who live in condominiums – as opposed to renting or being a standard homeowner – are more likely to see their premiums escalate. What do you do if Your Insurance Premium Increases from a Traffic Ticket? Stay put with your current provider and learn from the citation, while eating the increased premium costs until they expire from your driving record. Shop around to different auto insurance providers: Carriers treat citations differently, so some may be more lenient toward tickets than others. They may even offer additional discounts to get your business as a new customer. If you’re shopping new auto insurance providers, this is also a good opportunity to bundle services and utilize any applicable discounts to save money on all of your insurance needs. Attend a Traffic School Course: If insurance companies can see that you’re taking initiative and being proactive about your driving, some may be likely to go easy on any premium increases that result from a citation. In some states, if you have a clean driving record, taking and passing a safe driving course after a citation may even prevent it from going on your driving record at all. Increase your deductible: Another option you have is to increase your deductible. 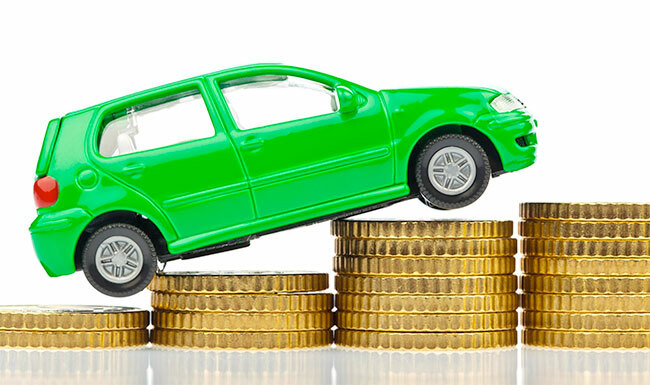 Generally speaking, the higher the deductible, the cheaper your auto insurance premium. This is a “proceed at your own risk” type of option, however, as you’ll be forced to pay more out of pocket if you have to file an insurance claim.